Bite on this! Our favorite Cheese Steak Shop is having a Half-price Cheese-day today, August 15. Savor mouth-watering Cheese Steaks at half the price. For only P150, get to enjoy The Cheese Steak Shop's 7" Cheese Steaks! Now that's an offer you definitely cannot refuse. Be there early and expect long lines. Promo available only at The Cheese Steak Shop in Amorsolo Street Makati, from 10am to 10pm. 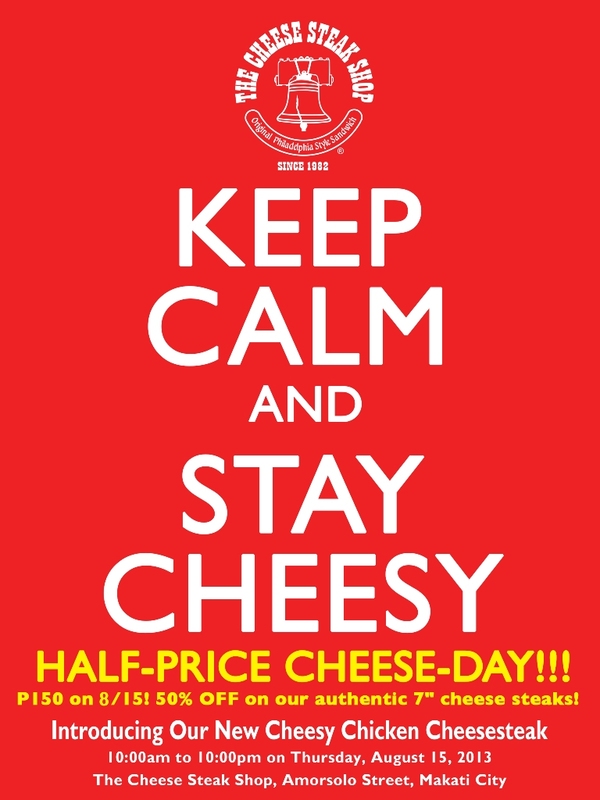 So keep calm and stay cheesy! Grab a bite of the newest Cheese Steak, the Cheesy Chicken Cheesesteak, more cheese more fun!